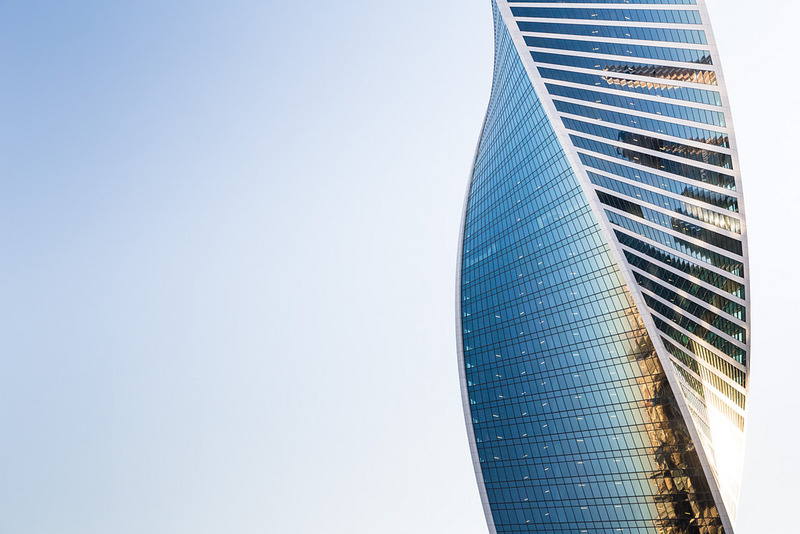 Construction of the Evolution Tower in Moscow City Business District has been finished. The tower differs from other skyscrapers in the unusual twisting form that reminds a DNA molecule. It will host Civil State Registration Department, trading and entertaining centers, transitions to the Central Kernel, the Bagration Bridge and the subway. There will also be apartments, offices and underground parking on 1350 places. The representative of the builder company reported that shops and offices already work on the first floor of the Evolution Tower and that all the finishing interior works will be completed by June 2015. By the way, you can already see the finished building through our live webcam. It is installed at one of the skyscrapers in the Moscow City and the Evolution Tower is right at the foreground. Moreover, the camera makes it possible to learn the actual weather in Moscow.